Grumbacher Vine Charcoal is created by burning hand-selected vines at high temperatures to produce a beautiful range of velvety grays, from dark, soft charcoal to light, hard charcoal. Grumbacher Vine Charcoal is available in four grades: Hard, Medium, Soft, and Extra Soft. 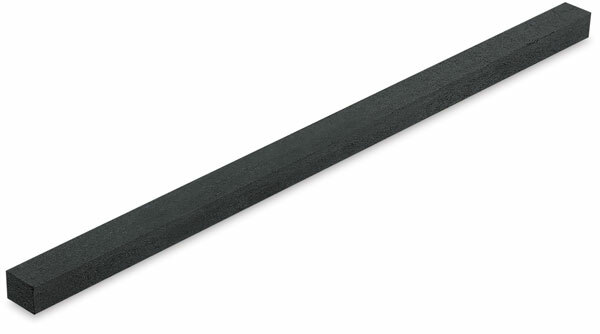 Square Vine Charcoal, Pkg of 12 — Includes 12 medium-degree square sticks with a dark gray color. The sticks measure approximately ¼" W × 5¾" L (0.63 cm × 15 cm).